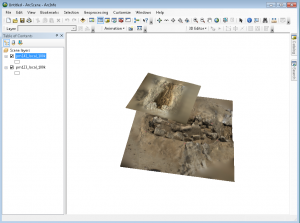 This series will show you how to import your photogrammetric model into ArcGIS. 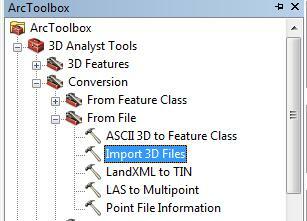 From ArcToolbox select ‘3D tools’ and ‘From File’ and ‘Import 3D Files’. Select your model and set the output as a new multipatch feature class in your geodatabase. Once the model has successfully imported into ArcGIS, you can move it to the correct real world coordinates by selecting ‘Edit’ and ‘Move’ and adding the appropriate x and y values (those removed before to make the modeling software happy). 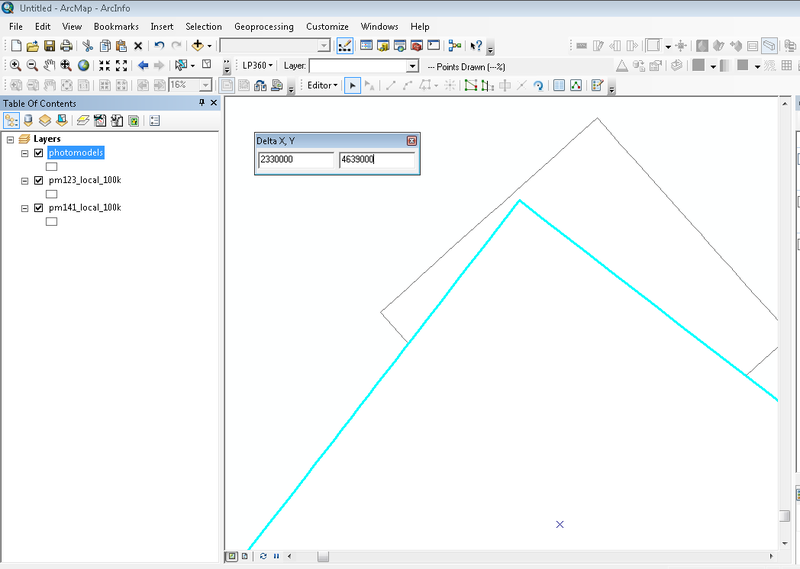 If the difference between the two coordinate systems is large, ArcGIS produces an error stating that the new coordinates are outside the spatial domain of the feature class. In this case, create a new feature class (with your real world projection) and copy the model into it. You should now be able to move the model to the correct coordinates. This is also an opportune moment to put all your models, which you’ve been importing into individual feature classes, into a single feature class. You can now view the models in ArcScene and manage the data as you would any other feature class in ArcGIS. Hint: If the model appears bizzarely blocky or is empty after you add it to the scene or map, and you are sure you did everything correctly, there is probably a conflict between the scene or map spatial data frame and the objects spatial reference. Open a new scene or map, or change the spatial data frame to resolve the problem. Please cite this document as: Opitz, Rachel. 2012. 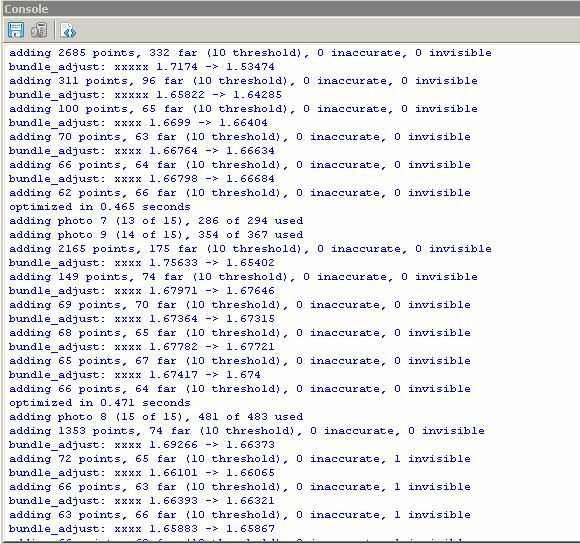 Photoscan to ArcGIS.CAST Technical Publications Series. 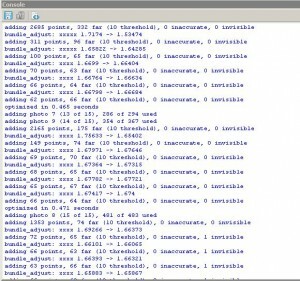 Number 10110. http://gmv.cast.uark.edu/gisrs/software-remotesensing/arcgis/workflow-arcgis/photoscan-to-arcgis/. [Date accessed: 22 April 2019]. [Last Updated: 22 March 2018]. Disclaimer: All logos and trademarks remain the property of their respective owners.